Dubai, UAE, May 9, 2017: Following their meeting on the margin of the Arab Travel Market Event (ATM) in Dubai to enhance their mutual relationship as partners, Al Tayyar Travel Group, one of the largest travel and tourism companies in the region, and Amadeus, one of the leading providers of advanced technology solutions for global travel industry, have dully signed a new partnership agreement. The extended deal significantly boosts the strategic co-operation between the two parties and reaffirms Al Tayyar Travel Group’s commitment to expand their online business. To achieve this, Al Tayyar Travel Group will take advantage of Amadeus cutting-edge technology and cost customized solutions such as the Premium Online Support, 24/7 contact with Amadeus experts, ATC Shopper Online, Booking and offline quality control check, etc. The agreement extension up to 2020 will expand the two parties’ collaboration from the local to the MENA level. Commenting on the agreement, Mr. Abdullah Bin Nasser Al-Dawood, Managing Director and CEO of Al Tayyar Travel Group, said: “Al Tayyar Travel Group has been leading the travel and tourism industry in the region by offering quality services. We are excited to perform the new online strategy with one of the pioneering entity in the field: Amadeus. This strategy aimed at enhancing our business and providing travelers with enjoyable lifetime experiences”. 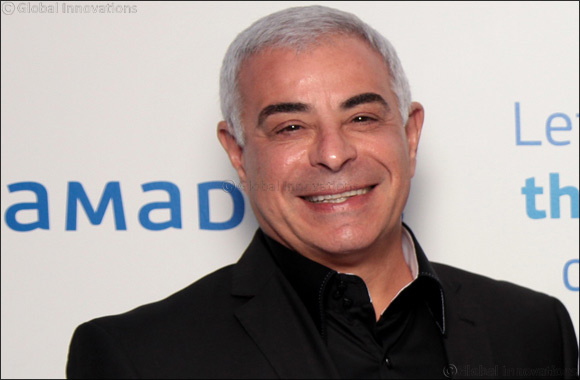 Mr. Antoine Medawar, Vice President of Amadeus MENA, said: “We are happy to extend our contract with Al Tayyar Travel Group as it further enriches our firm partnership. Al Tayyar Travel Group is a thriving company that is committed to service excellence. As Amadeus takes its strategic partnership with Al Tayyar to the regional level, the corporate travel sector in the MENA region will benefit from the expertise of two leading players in the travel domain. Amadeus works with Al Tayyar to explore new ways to fulfil the customer needs and offer them exciting new opportunities”. The new extended deal is considered as valuable for Al Tayyar Travel Group which can take the Group’s service performance to the excellent level in terms of added efficiency, fast automated results and less time delivery. Known for its professional services and distinguished client care, Al Tayyar Travel Group is the trusted agency of more than 1,600 governmental and private corporations. It has invested in approximately 400 branches across Saudi Arabia and other Gulf countries, Egypt, Lebanon, Malaysia, the U.K., Canada and other popular tourist locations.